Keep up-to-date on current events in Austria with a comprehensive news summary, provided by the Austrian Embassy. The newsletter "Informationen aus Österreich" is published every few weeks and covers a broad range of subjects, from Austrian and European political developments, the economy, science, culture, the environment and more. This publication is available in German only. 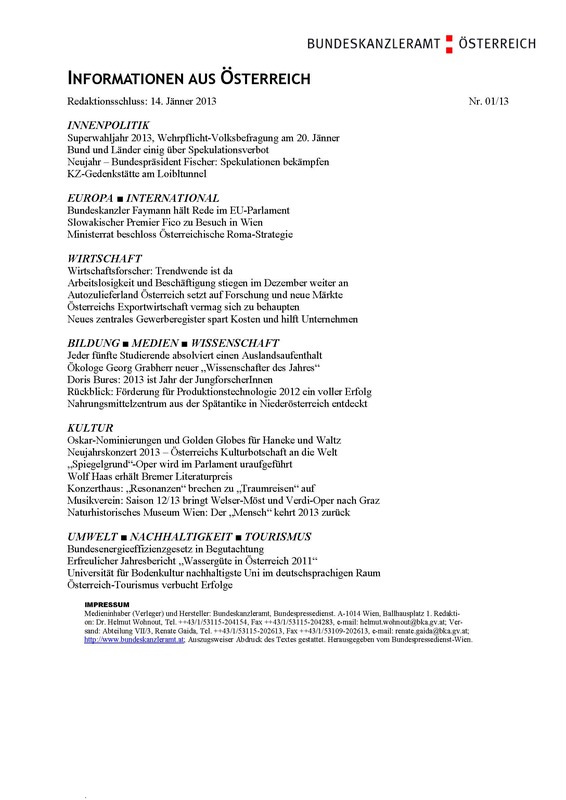 View or download the "Informationen aus Österreich" publications below. Click on the links belows. The highest publication number represents the current issue.